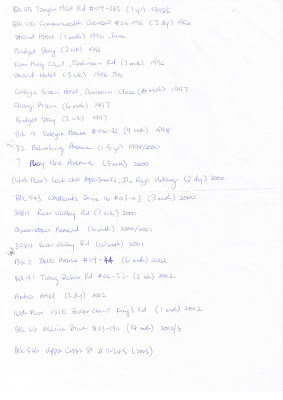 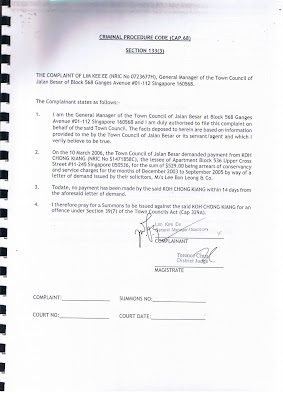 I have lived in Sengkang since 2000. 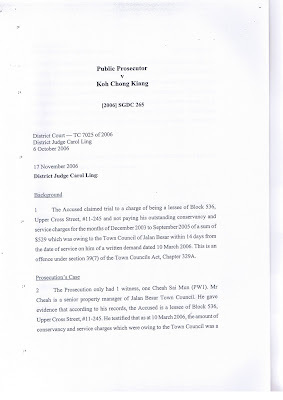 I have to make calls to Ang Mo Kio Town Council on corridor lighting issues, lift issues, garbage and bulky items left unattended for days and so on. 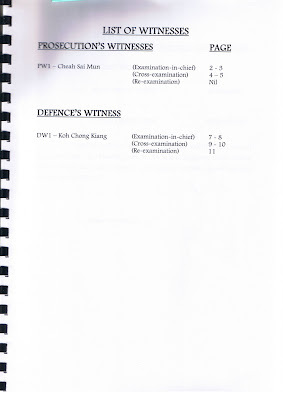 My question is: Whose responsibility is this? 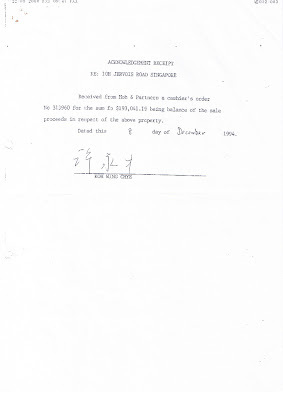 Residents? 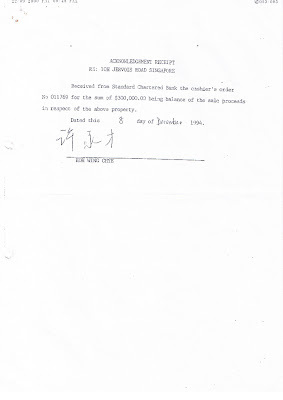 Then why do we pay conservancy charges? 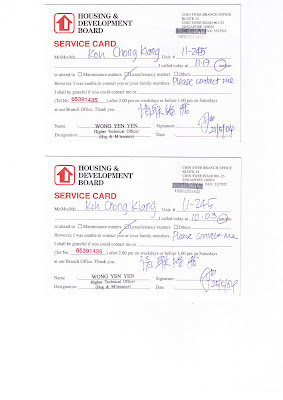 Recently, my corridor lights were out for a week. 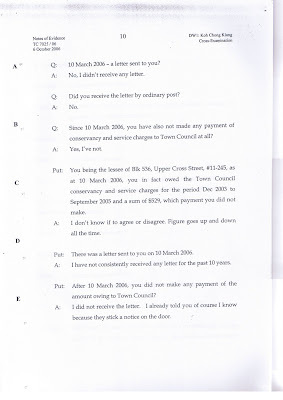 When I called the town council, I had to wait 10 minutes listening to a voice recorder before my call was answered. 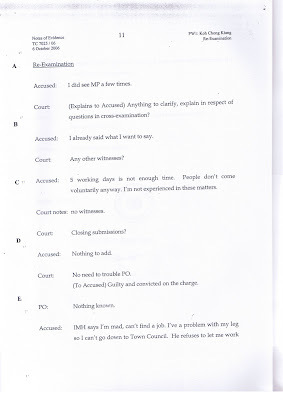 Then I had to explain to a woman officer, who then transferred me to the maintenance side. 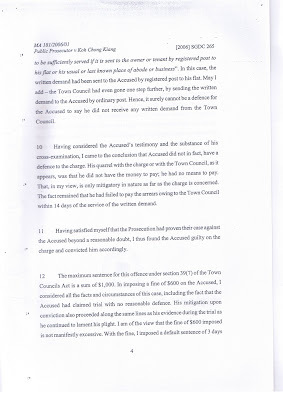 I had to repeat what I said again, but the officer was unable to answer when I asked her who is responsible for this. 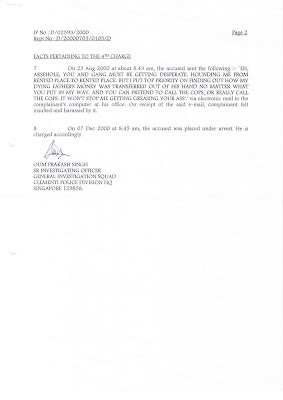 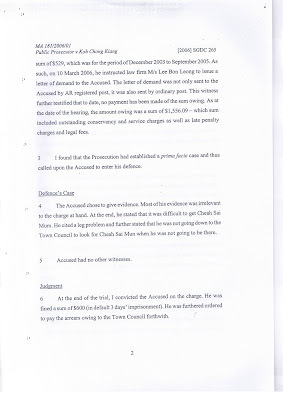 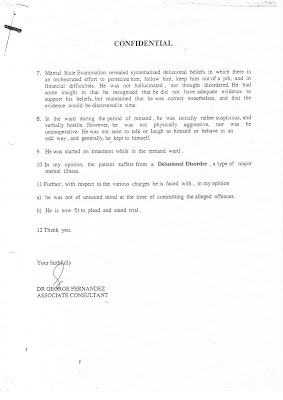 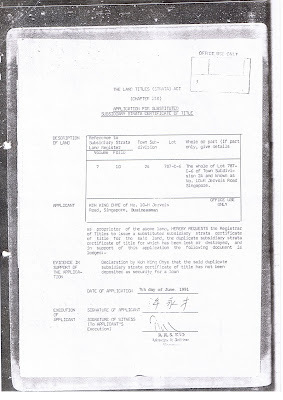 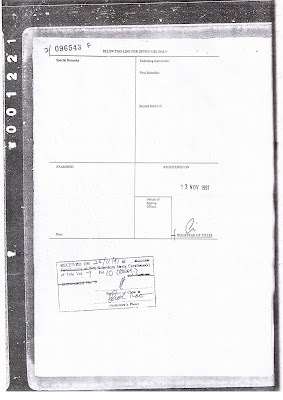 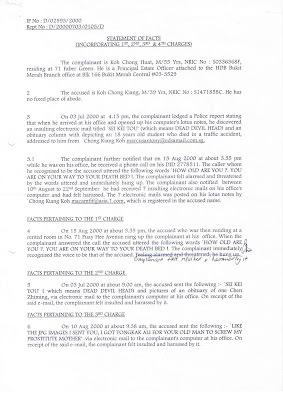 Then I was transferred to another officer - Madam Wee, who said there is a "checker". 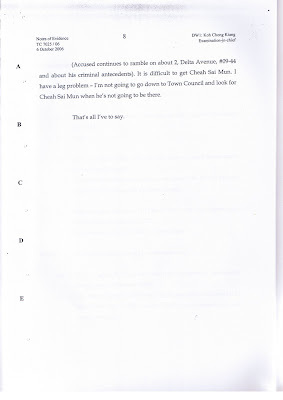 Obviously, this "checker" is not checking. 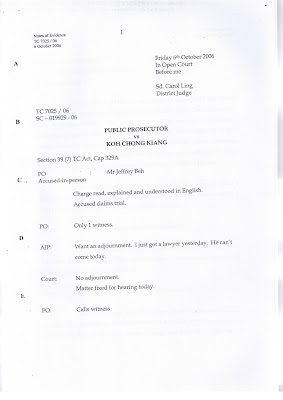 I then asked to speak to someone in authority, but Madam Wee said her name is Gladys but she was out of office. 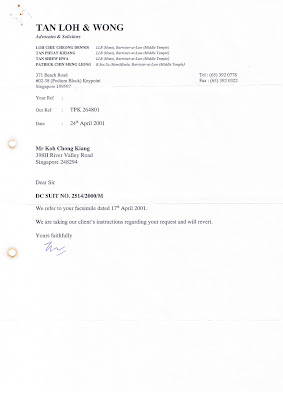 I left my contact details but till today, there has been no call. 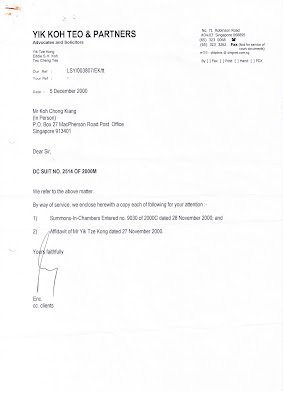 It was only in the last few days that the lights were fixed. 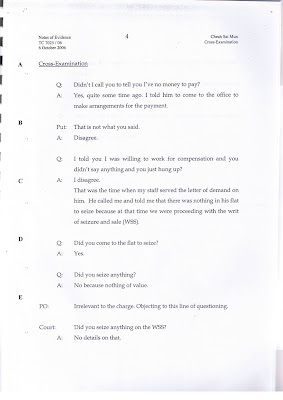 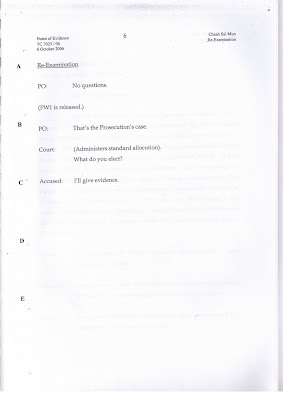 My questions: Does a simple question need to be repeated to three officers? 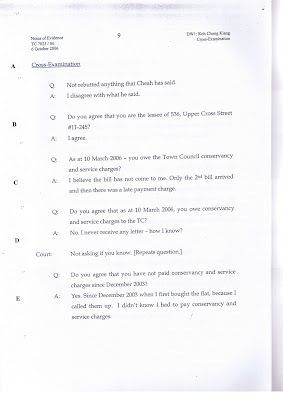 And what service do we residents receive in return for the monthly conservancy charges? 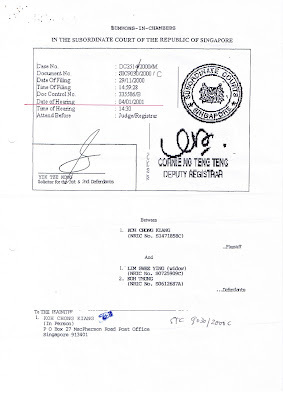 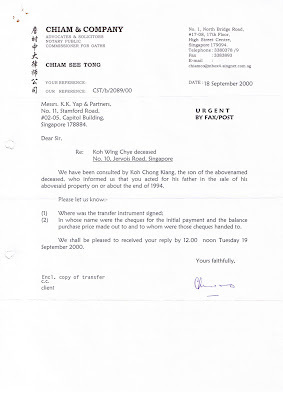 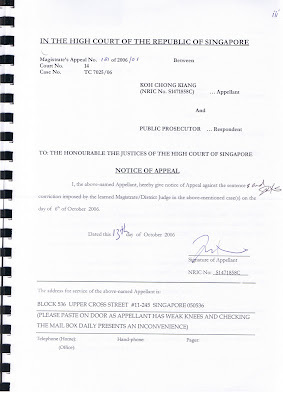 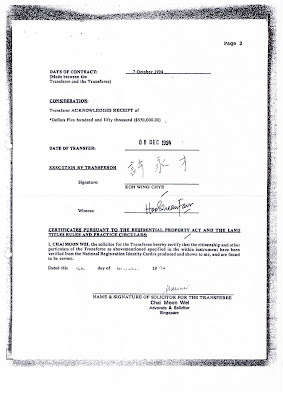 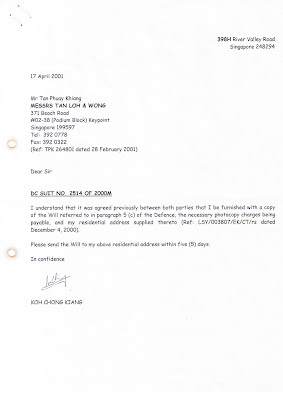 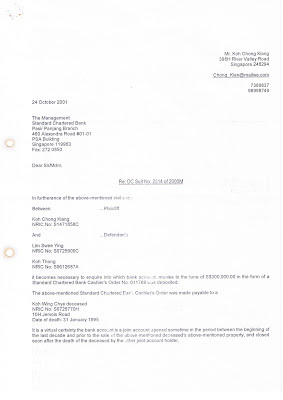 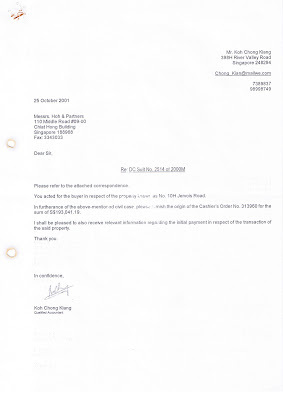 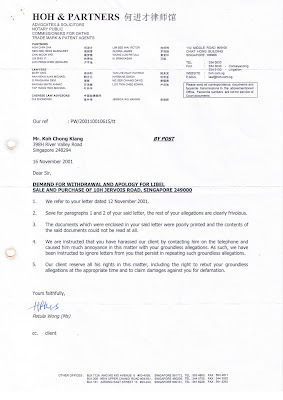 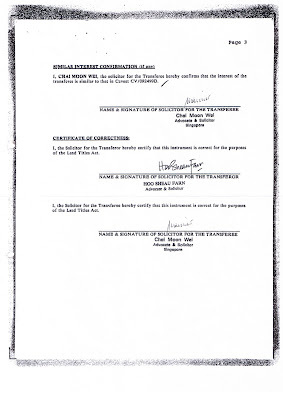 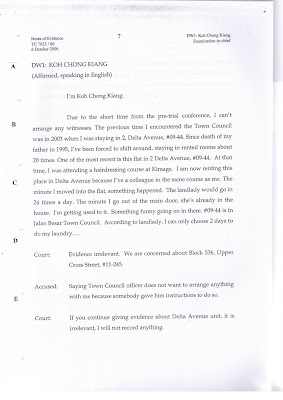 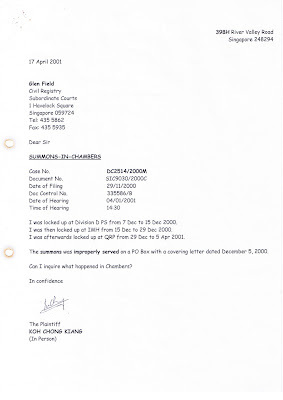 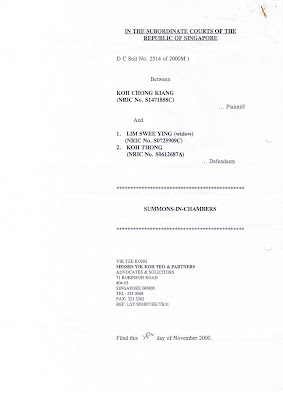 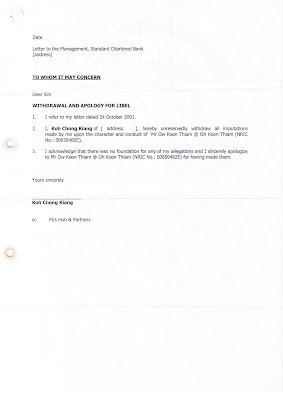 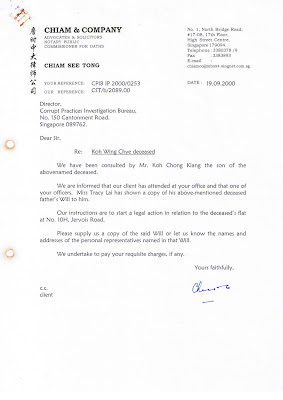 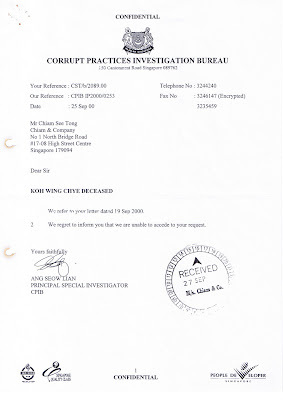 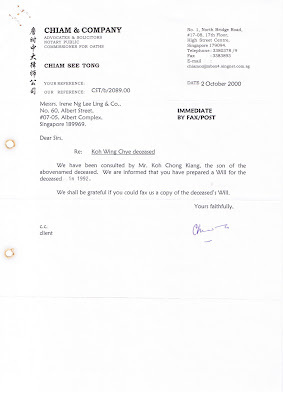 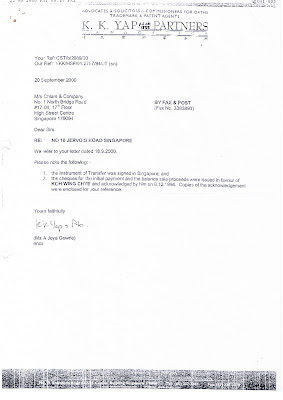 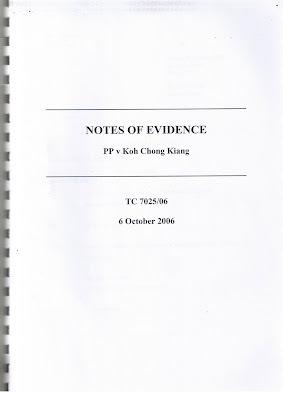 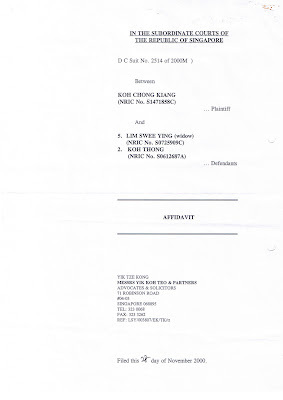 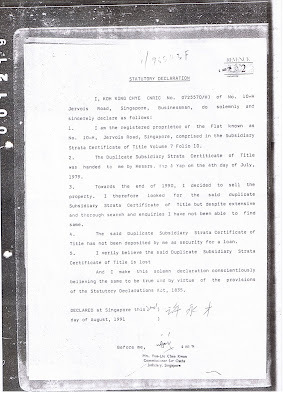 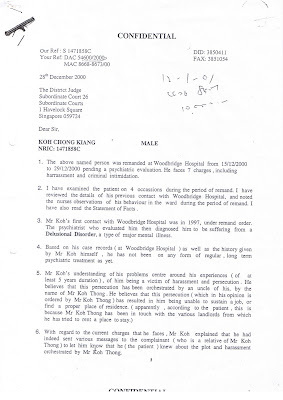 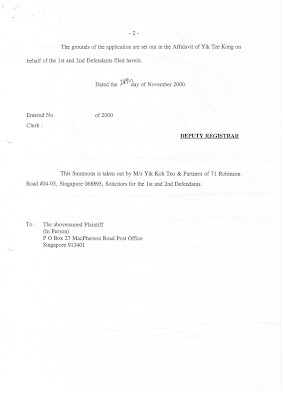 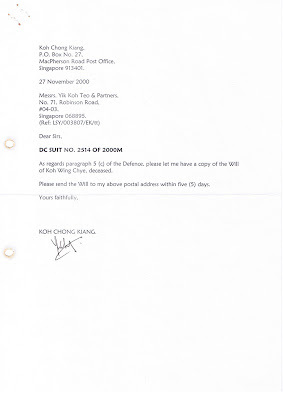 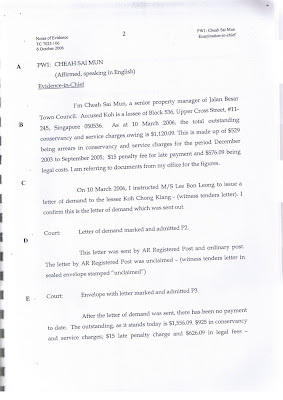 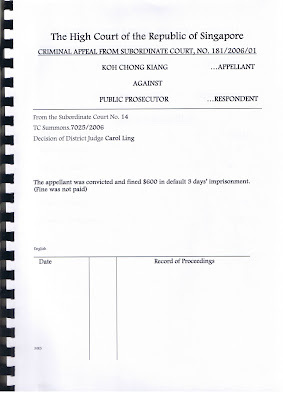 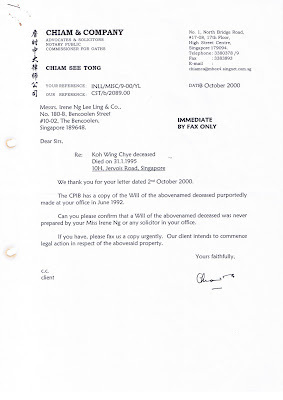 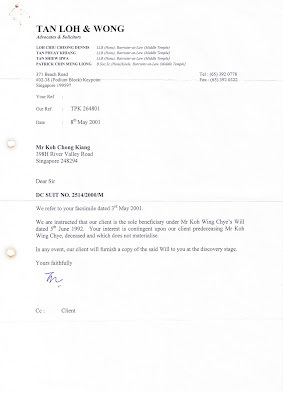 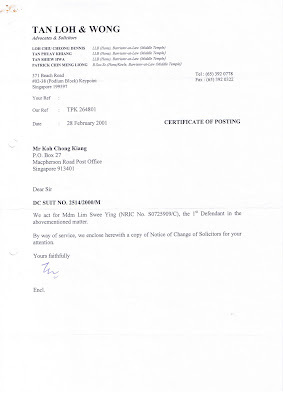 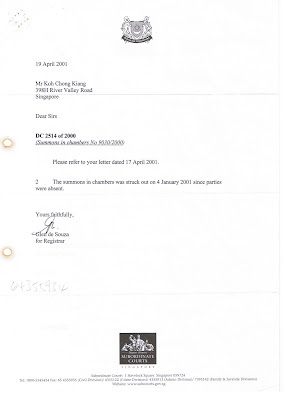 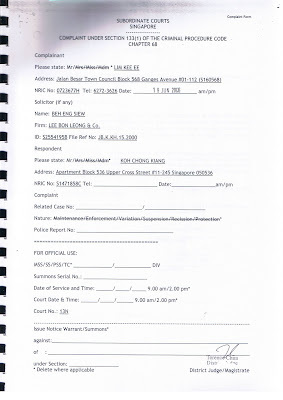 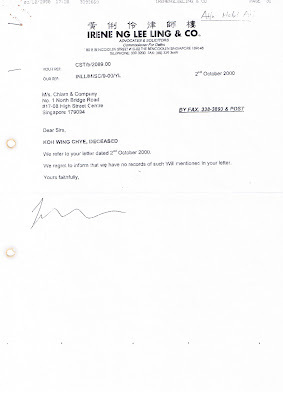 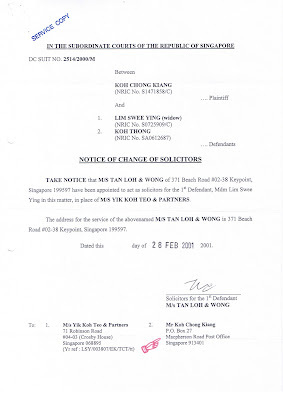 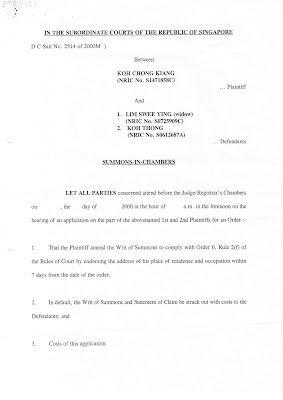 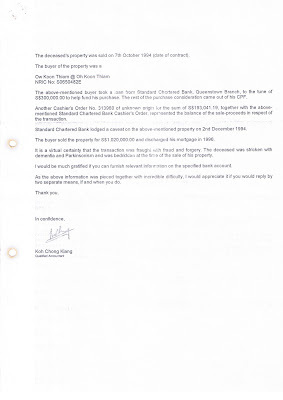 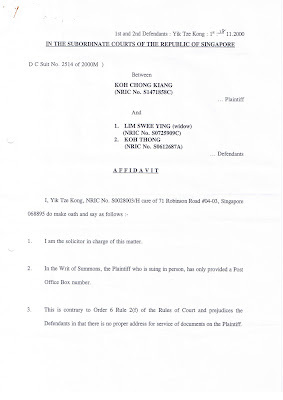 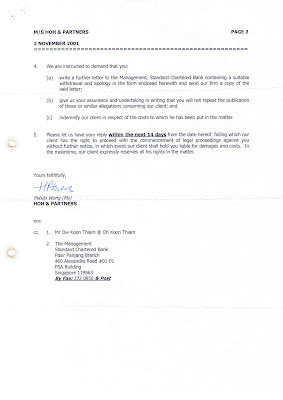 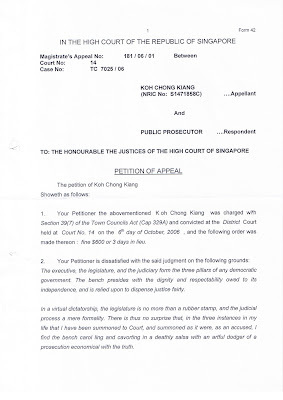 You, KOH CHONG KIANG (NRIC No S1471858C), the lessee of Apartment Block 536 Upper Cross Street #11-245 Singapore 050536, are charged that you have failed to pay the outstanding conservancy and service charges for the months of December 2003 to September 2005 (actually, Dec 2003 to date) of $529.00 (actually, the number seemed to have gone up and down) due and owing to the Town Council of Jalan Besar within 14 days from the date of service on you of a written demand dated 10 March 2006 and that you have thereby committed an offence under Section 39(7) of the Town Councils Act (Cap 329A) and punishable under the said Section thereof. 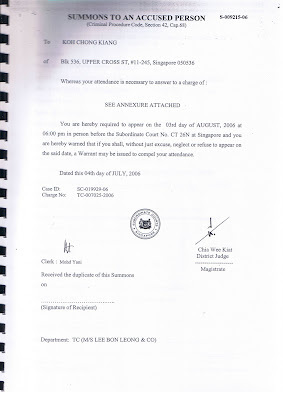 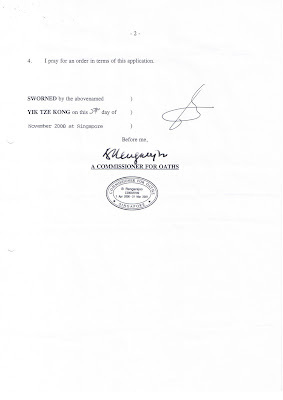 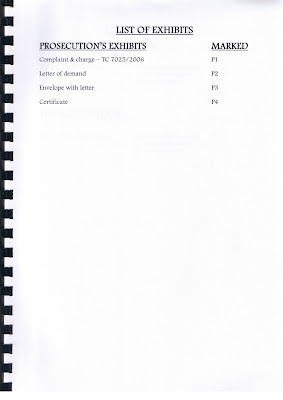 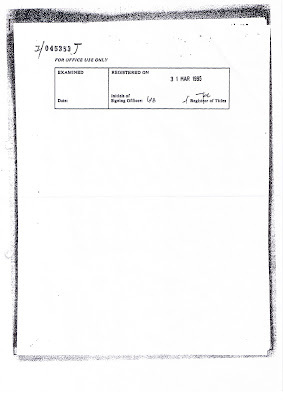 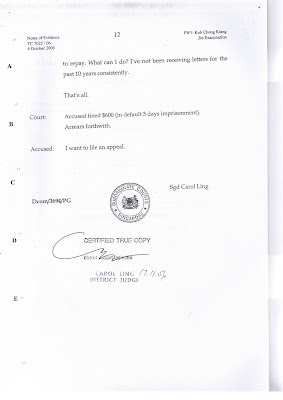 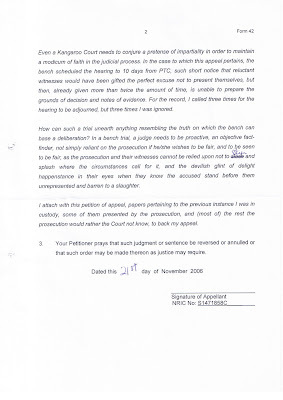 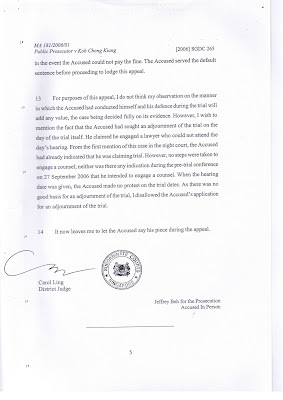 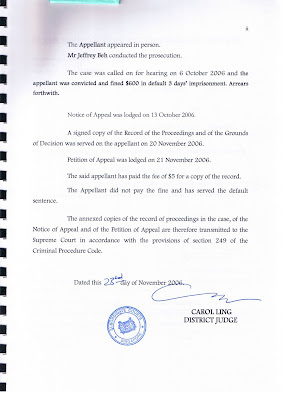 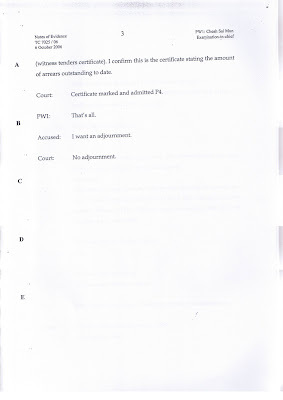 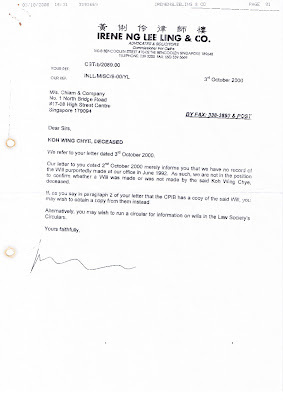 You are hereby required to appear on the 3rd day of August, 2006 at 6.00pm in person before the Subordinate Court No. 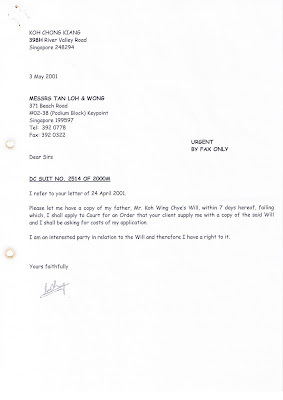 CT 26N at Singapore and you are hereby warned that if you shall, without just excuse, neglect or refuse to appear on the said date, a Warrant may be issued to compel your attendance. 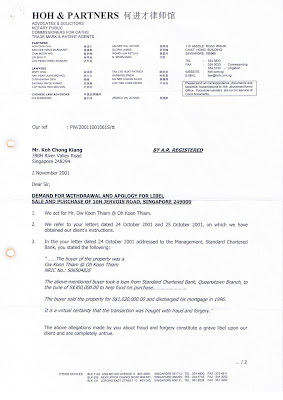 1) There's not enough balance in my CPF to service the mortgage. 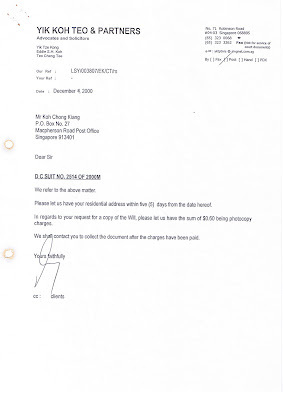 2) The utilities bill has been outstanding for more than 8 months. 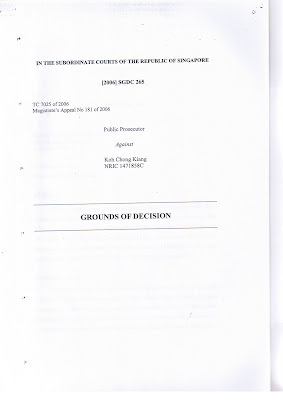 3) Not taking into account other non-recoverable debt owing to Singtel, Starhub and M1. 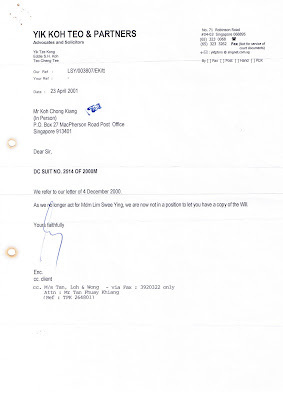 4) Telling the MP Loh Meng See in 3 visits but seeing his face only once, just before the election (so I was surprised to learn that somebody was privileged to sock MP Seng Hang Thong in the face) but not getting the message through, only to find him no longer an MP after the election. 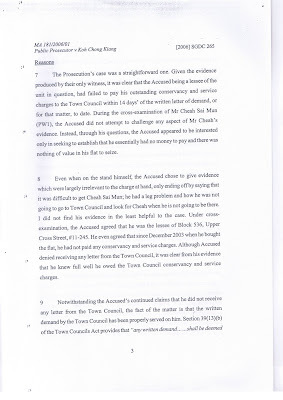 5) Is it an offence to be poor and jobless? 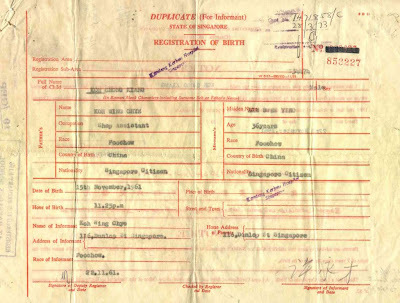 6) Isn't it an extremely sick policy to be importing foreigners by the thousands when locals cannot secure a livelihood, and then persecuting them for not being able to secure a livelihood? 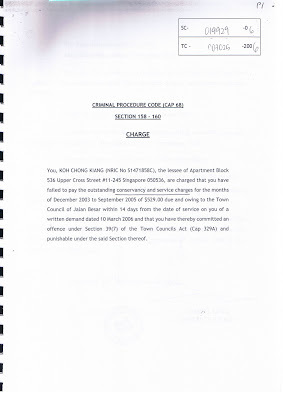 And making slavery out of its citizens for needing to live in a HDB pigeon hole? 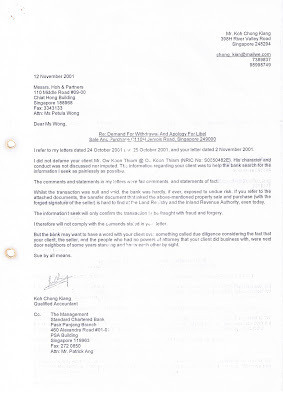 7) Isn't a tax that does not distinguish ability to pay, thus robbing the poor to enrich the rich, just cause for a citizen's revolt? 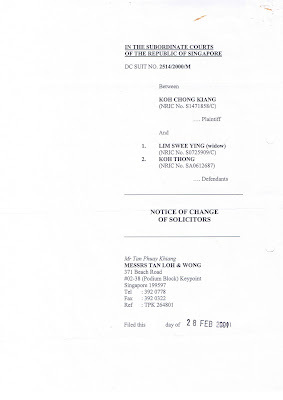 And I shall lead the way. 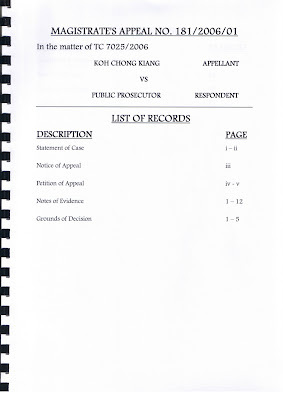 The case is going to trial. 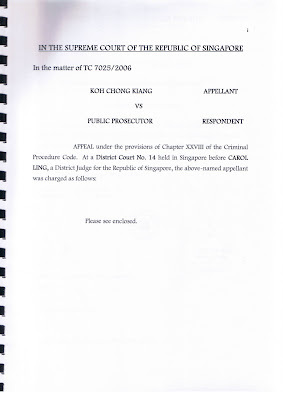 PTC 27 September 2006, 2.00pm, Subordinate Court 14. 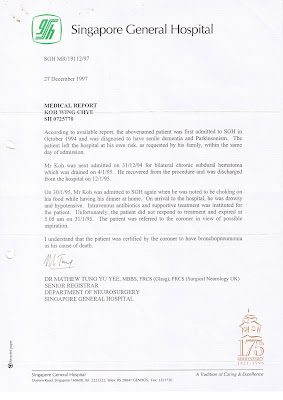 Any advice or financial assistance would be appreciated. 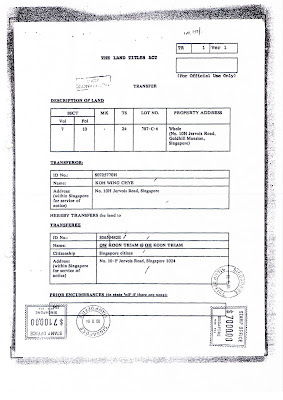 And I shall be needing a place to stay.